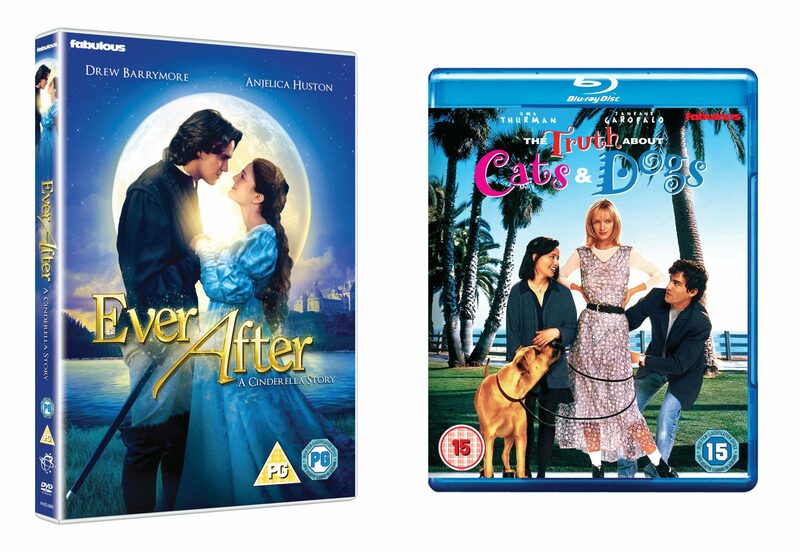 To mark the release of Ever After and The Truth About Cats and Dogs, out now, we’ve been given 3 copies of each to give away on DVD. A “modern” young woman of the sixteenth century, Danielle (Drew Barrymore) is as independent and wise as she is beautiful and kind. Against remarkable odds, she stands up to her scheming stepmother (Huston) and works miracles on the lives of everyone around her, including the crown prince of France (Dougray Scott)! Abby (Janeane Garofalo), a savvy, witty veterinarian who hosts her own radio talk show, is anything but confident when it comes to love. A petite brunette, she describes herself as tall and blonde when Brian (Chaplin), a caller who is smitten with her radio persona, asks her on a date. She then talks her tall, blonde neighbor Noelle (Uma Thurman) into assuming her identity, setting off an escalating series of hilarious and romantic crises.